The job of a project engineer is one that requires both engineering and project management skills. A project engineer is responsible for a wide variety of high level tasks in a project, including but not limited to designing bridges and overpasses, the structural requirements of buildings, and even the designing of software programs and projects. A project engineer is someone who knows the engineering field on several levels, including the efficient design of buildings, as well as other aspects of the design and implementation of structures, programs, and projects. In addition, he is somewhat of a manager, in that he has to coordinate some aspects of a project with others, though that is primarily the job of the project coordinator. Without a four-year degree in Engineering, there is not a lot you can do in the Engineering field. 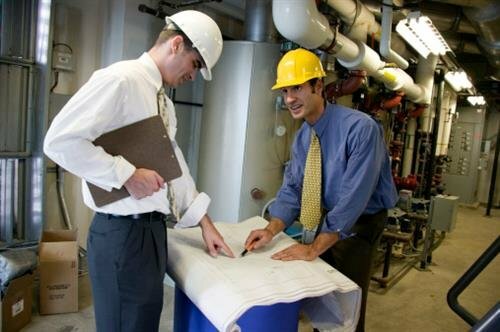 The typical education of a project engineer is a four-year degree in Engineering, if the projects involve actual structures and the building of buildings, or a four-year degree in Software Engineering or related field, if the engineering projects are more geared toward products, software, or services. A four-year (Bachelor’s degree) is required for a job as an Engineer or a Project Engineer. Without a four-year degree in Engineering, there is not a lot you can do in the Engineering field. You might be able to work under another Engineer however, to gain experience or learn some of the tricks of the trade while you are getting your degree. Additionally, you need to have a license in engineering, in order to practice engineering professionally. Here is the official licensing site to become a structural engineer: Engineering Licensing Site. 1) Get an Engineering degree. A four-year (Bachelor’s degree) is required for an Engineering job of any kind. Coursework should be slanted toward science and math and should emphasis structural skills and development of new products and services, buildings, or other projects. 2) Gain experience in a specialty area, such as electrical, aerospace, electronic, mechanical, or civil engineering. Getting work experience and credentials in a specialty area shows you have special skills in a certain area and helps build your credibility as worthy of serving in a Project Engineering role in one of these specialized areas. Many companies or engineering firms, as well as construction management companies, or general contractors offer opportunities to learn your trade as you work toward your degree or gain experience. 3) Work as an apprentice under other professional engineers. The best way to learn something is to observe others doing it. If you can find an engineer who will let you observe what he does, it will give you an opportunity to learn the responsibilities of the job up close and personal. There will probably be opportunities where they will allow you to do some actual work. This will help you gain experience in your chosen field. Likewise, a software apprentice could ask to work under a software engineer to observe them as well so they can learn what it takes to do this type of job. 4) Become licensed as an engineer. The professional licensing board for professional structural engineers is the NCEES. Get licensed as an engineer after the completion of your degree. This shows you have all the credentials needed to do the job and tells others you are serious about your career as a project engineer. 5) Look for opportunities to expand your knowledge. Working in engineering type positions, even if you are not the project engineer, will help build your reputation and credibility in the field of engineering and provide great work opportunities and connections as well. Network with others in the field, and join professional organizations. And, of course, continue your education to the greatest degree possible. To become a project engineer, get the degree from an accredited institution and the licensure from the appropriate licensing board (either structural or software engineering). Study your specific field, because Engineering crosses over into several different arenas. Finally, apply at different levels until you get the job you want. Engineering is about building, planning, and implementing. One step at a time, like a bridge you may someday build, it will come together. Start with your education. That is the "bridge" to your future!